Есть вопрос для Lanna Lodge Hotel? Построенный в 2006, Lanna Lodge Hotel является отличной отправной точкой в Чиангмай и разумным выбором для путешественников. Отсюда, гости могут всецело ощутить преимущество удачного расположения и близости ко всему, что может предложить оживленный город своим туристам. Этот современный отель расположен в непосредственной близости от популярных достопримечательностей города, таких как Wat Loi Khro, Wat Pan Tong, Lucky Stones. Воспользуйтесь богатым выбором услуг и первоклассным сервисом в этом отеле города Чиангмай. Среди множества услуг доступных в отеле, есть бесплатный Wi-Fi в номерах, регистрация 24/7, Wi-Fi на территории, трансфер, аренда автомобилей. Уникальная атмосфера в Lanna Lodge Hotel находит свое отражение в номерах. Wi-Fi (бесплатный), кондиционер, письменный стол, телефон, вентилятор лишь некоторые из удобств, которые находятся в вашем полном распоряжении. Помимо широкого выбора услуг для отдыха, предлагаемых в отеле, у вас останется много возможностей развлечься не выходя из отеля. Независимо от цели вашего визита в Чиангмай, Lanna Lodge Hotel является идеальным местом для отличного отдыха и веселого времяпрепровождения. 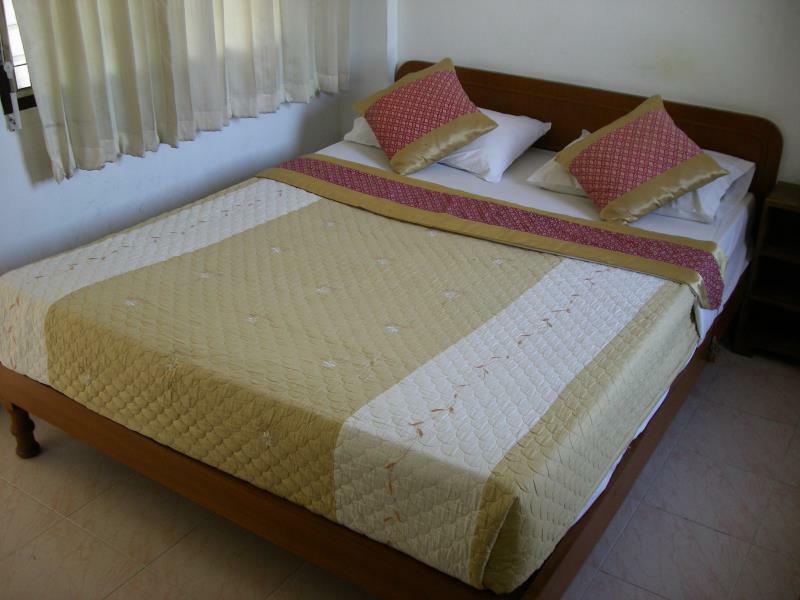 The Lanna Lodge is located in a quite quarter between Kotchasan and Loykroh Road. The room was in good condition, bathroom also ok, at night I didnt need the aircondition. At all you get what you paid for. Average to good, as expected for budge hotel.. But the hotel has integrate the motor bike rental service which is very useful! Packing luggage, leaving and not going back. Unacceptable, shabby room, gross mattress, stains on wall at head of bed from people resting their head, no fridge, wifi only on 2nd floor, shower no water pressure and filthy shower rose. And the room was not serviced.... Compare thisfor the same cost and you can see why I am extremely displeased. There are many other cheaper options in the area. The staff were extremely friendly, and the location is wonderful, but it's just too overpriced for what you actually get. It still falls into budget/ backpacker affordability though. 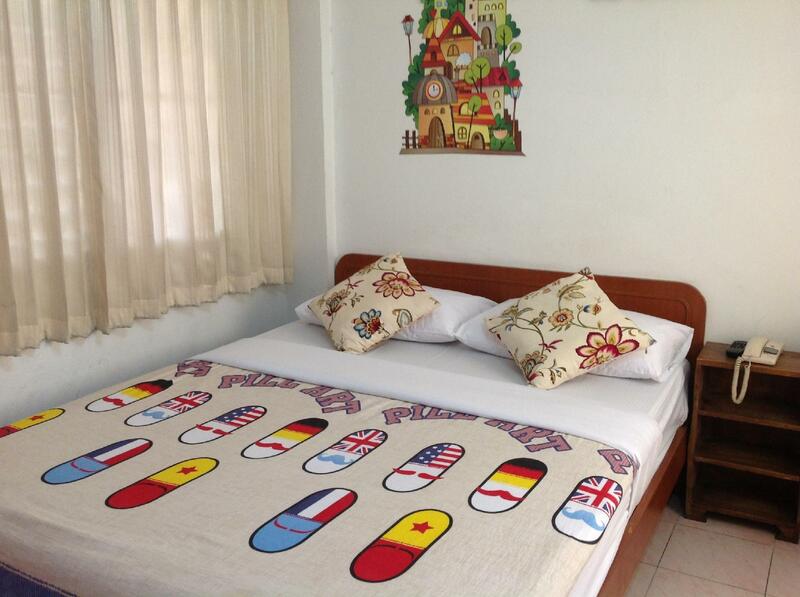 It's a very friendly Hotel, located in a small lane Close to the main road. Therefore not much traffic, not much noise, friendly staff. You can walk within a few minutes to the "market-street" where you have not only the night market but also the Food marked, many Restaurants, internatinal Food as wel as good local Thai Food and seafood. Hotel room were simple, but clean. Can recommend the Hotel! Although a bit quite stretch of road, it is well located within walking distance to the Night Bazaar, food, Massage centers and Pubs. Friendly staff with security box provide at the reception area. Overall was a satisfactory room considering the price. 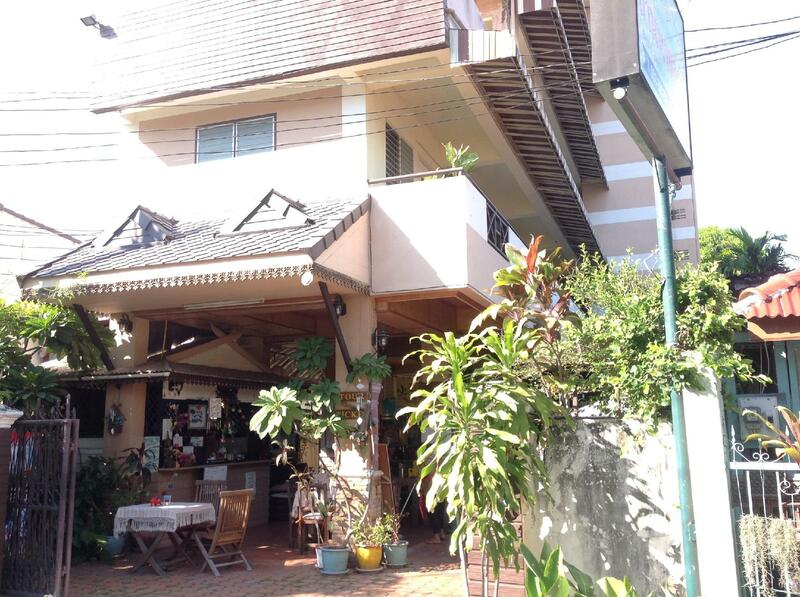 Air conditioning, hot shower, friendly staff, quiet street, great location right between night bazaar and walking street. Pleased with our stay for the following reasons: Air conditioning, hot shower, friendly staff, quiet street, great location right between night bazaar and walking street. for the money i paid, the lanna lodge was fine. i think it might have been cheaper if you walked in and got a room, than what i payed on agoda, but being it was over new years, i did not want to risk searching for a place. the rooms on the fourth floor seemed nicer, and the one at the end of the fourth floor has a door to the outside patio. staff were friendly and helpful. i would skip eating breakfast there. i do not know about the other meals. close enough to walk to night market or old town area. definately a budget hotel, you get what you pay for. OK for the price, but have stayed at much better in this price range. Adequate facilities, very squeaky bed... just OK.
first things first, you get what you pay for, so we weren't expecting too much. the room was small, but clean and tidy. the a/c is a huge plus, coming from a backpackers with no a/c the night before. the bathroom/shower is definitely nothing special, but adequate enough. i would definitely request a room on the 5th floor as the views are quite nice. the best part of lana lodge is the location. it is right on one of the main streets, but is nicely tucked away down a quiet side street which allows you to get away from it all while still being close to the action. the staff are very helpful, especially in organizing a very luxurious bus back to bangkok for a very cheap price (450 bht). note: a very very important tip, most taxi/tuk tuk drivers have never heard of the place, so my advice is to ask to be dropped off at soho backpackers (new backpackers in town) and if you look across the road, there will be a big sign pointing towards lana lodge. Hotel is very clean and comfortable. The staff is friendly and courteous and made every effort to ensure I enjoyed my stay. it's very nice to the tourist. feeling so easy. i like this hotel very much. Good service when you ask for it. Really shabby looking hotel. And you can hear every sound the neighbours make. Always getting lost in the neighbourhood. But neighbourhood is okay, nearby night market, nearby centre of Chiang Mai also. Service is good, you have to ask for what you want: stall your suitcase, use free internet, help you with plane tickets, etc. i've been to cm more than a few times and always stay for about a week. overall, i think this may be the best value in town for the price and what you get. you want to stay on the fifth floor. the bedrooms face west and you get amazing sunset views right out of the window of your room. that one source of light on top of the mountain is doi thep, or whatever the name of the monastery is. its cool to see. the rooms are spartan but good enough. the bedding is threadbare and the fixtures are what you expect for the price. the bathroom is the type where there is no separate shower; it just goes all over the place. but for a single traveler who is mainly exploring cm and not relying on their room for great comfort, this is the ideal hotel. the drag on being at the fifth floor is that wifi is weak. sometimes i'd get a single but usually only late at night. it is very strong downstairs however, and i was able to run facetime without much trouble. they have two desktop cpus if you need them. the staff is great. i thought i forgot something, came back, and they were really helpful in checking around to see if it had been found. turned out i had it all along but still - they could not have been any nicer or prompt in helping me. the woman working the desk was quite easy on the eyes as well. motorbike renters will be happy to know that you can park your bike right downstairs in the driveway. the restaurant has breakfast for about baht but everything is cooked to order and the bacon was actually pretty good. most of the guests were farang men, european, and were between 45 - 65 years of age. they are perfectly well behaved. there were a handful of couples. but this is mostly a place where solo older dudes stay in case that matters. lots of guys sitting by themselves at breakfast. i guess i'm on my way to becoming one. it was hard to find. even taxi driver from airport didn't know of the hotel. but once arrived. staff was nice. room was good. decent size. the door is to flimsy though and you can hear everything going on outside. there were dogs barking from 1am to 8am. non stop. this would be one reason not to stay here again. but they didn't bark the 2nd day. Good location to Night Bazaar and ThePae Gate. good stay. decent room. good staff. on a side street away from traffic so no street noise. but dog barking can be an issue.